Space is already in short supply at software firm iQmetrix’s new office in downtown Regina. A leading provider of software for retail business in North America, the company recently moved to bigger and better digs after enjoying several years of success following its launch in Regina in 1999. But now the company is growing so quickly it might have to find even more space. “We’re already facing a bit of a crunch in our new offices because the hiring pace has been so high,” says Scott McGillivray, chief strategy officer at iQmetrix . 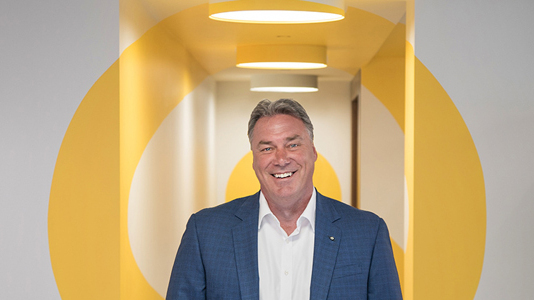 With tens of thousands of customers, and hundreds of millions of dollars in revenue, iQmetrix is one of the largest tech companies in Saskatchewan. McGillivray attributes its success to the province’s talent pool and work ethic. “So many companies say it’s all about their people, and I have to say that is why iQmetrix has been successful,” he says. That’s really the Saskatchewan hallmark, he adds. While the province is renowned for agriculture, mining and energy production, it also has deep pool of high-tech workers. And iQmetrix wouldn’t be the success it is today without those skilled people, McGillivray says. “There are only a few software companies based in Regina, so for those people who have engineering or computer science degrees, we’re a highly desirable place to work if you want to build products,” he says. Moreover, many post-secondary graduates receive excellent training and are ready to hit the ground running when hired, he says. But iQmetrix also creates an atmosphere where talented employees can thrive. “Specifically, the people we look for are those who think ‘we’ as opposed to just ‘me,’ ” McGillivray says. It’s been a very good formula for growth. The company is not just a Saskatchewan tech success story. It’s a Canadian one. With more than 400 employees — 180 of which are based in Regina — and offices in Vancouver, Winnipeg, Charlotte, North Carolina and Australia, the company has come a long way since it was founded in 1999 by Kelly Kazakoff and Greg and Christopher Krywulak. And the growth has been organic. “We’ve grown everything through cash flow,” McGillivray says, adding that’s relatively unique in the tech industry, “and the employees are shareholders. In part, the business atmosphere in the province has helped foster iQmetrix’s prudent growth. When you combine a business-friendly climate with a great idea and good workers, you have a recipe for success, he says. “There are no impediments to growing your business here,” he says.